The amount of devices that people own and use on a daily basis has increased dramatically over the last decade. Ten years ago, it wasn't uncommon for people to have just one or two devices, not all of which could even be used for the storage and access of data. It may be hard to conceive of now, but how many of us just had a laptop (or even a desktop computer) and a flip phone? It's amazing that we got anything done! Today, people are accessing information and data across multiple screens – desktops, laptops, smartphones, and phablets and tablets – and it is important that people be able to access not some, but all of their information across these devices. And the solution can't be a SIM card or thumb drive that you carry on your person at all times. Two companies at the forefront of this movement are Android and Samsung, which are leading the sync devices movement, allowing people to access information safely and securely. 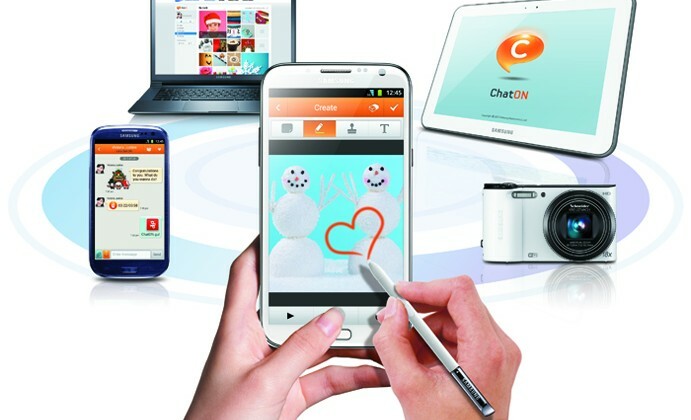 Google and Samsung have both taken steps to make syncing devices quick, easy and hassle-free. Though there are any number of cloud-based services available, Google and Samsung's solutions stand out because they have been designed with user-friendliness in mind. After all, you are likely not alone in thinking, at least at some point or another, that the Cloud was all a bit over your head. Why does some data seem to find its way on the Cloud and other data doesn't? Google and Samsung want to help you avoid this confusion. Samsung's Smart Switch mobile app makes transferring data between Samsung devices intuitive and mistake-free. To make use of this app, a user need only to install the app on both devices, place them within 50cm of each other (just under two feet away), and activate the app on each device. From there, the user can hit the “Connect” button on either device, and transfer the data of his or her choosing. It's easy, simple and trouble-free. There are no wires. There's no “Cloud.” It's a simple wireless transfer from one device to another. Do Synced Devices Pose a Risk? The short answer may be “yes.” It's important to remember that any data that can be accessed via an Internet connection is potentially at risk of being compromised, but there are steps you can take to protect your data. One of the simplest and most overlooked precautions is simply using a strong password. Think of a password as the equivalent of locking your car doors at night; it might not stop the professional car thief from getting into your car if he or she is determined to do so, but it will likely be a strong deterrent against bored teens just looking for a joyride. Your online access credentials are the same. If you can prevent the amateur hacker from getting access to your data, you are already taking steps to protect yourself. Of course, a strong password alone shouldn't be your only line of defense. If you have particularly sensitive data that you would not want to get into the hands of others, consider storing it locally only, and not online or in the Cloud. You may also want to consider encryption software to further protect your data. On the whole, cloud-based storage and sync devices can be risky, but they don't have to be. With sync devices from Samsung making data transfer easier, quicker and safer than ever, and platforms like Google's Android operating system making cloud storage and universal data access commonplace, the long promise of being able to access information at anytime, from anywhere has finally arrived. Now all we need is an OS that recognizes the voice command, “Computer!,” and our Star Trek fantasies will be real.